Webb County is a county located in the state of Texas. Based on the 2010 census, the population was 250,304. 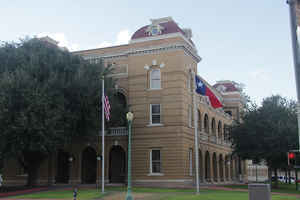 Its county seat is Laredo. The county was named after James Webb, who served as Secretary of the Treasury, Secretary of State, and Attorney General of the Republic of Texas, and later judge of the United States District Court following the admission of Texas to statehood. 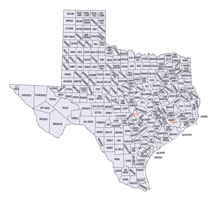 By area, Webb County is the largest county in South Texas and one of the largest in the state. It is northeast from the Mexican border. Webb County comprises the Laredo metropolitan area. Meanwhile, even before the Treaty of Guadalupe Hidalgo assigned the Nueces Strip to Texas, legislators in Austin included it in the new jurisdiction of Nueces County in 1846; in January 1848 the Texas legislature established Webb County. Its county seat is Laredo. Webb County was named after James Webb, who served as secretary of the Treasury, Secretary of State, and Attorney General of the Republic of Texas, and later United States District Judge in the State of Texas. Webb County is the largest county in South Texas by area. Webb County was split into two counties in 1856. Encinal County was established on 1 February 1856 and was to consist of the eastern portion of Webb County, Texas. The county was never organized and was finally dissolved on 12 March 1899. The Encinal territory was absorbed into Webb County. 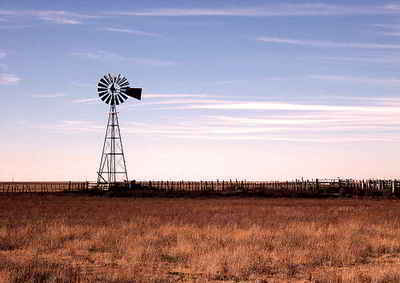 John Leffler and Christopher Long, "WEBB COUNTY," Handbook of Texas Online (http://www.tshaonline.org/handbook/online/articles/hcw05), accessed January 24, 2016. Uploaded on June 15, 2010. Published by the Texas State Historical Association. As reported by the Census Bureau, the county has a total area of 3,376 square miles (8,743 km2), of which, 3,357 square miles (8,694 km2) of it is land and 19 square miles (48 km2) of it (0.55%) is water. Prior to 1994 Webb CISD served only Bruni and Oilton. Mirando City Independent School District served the community of Mirando City from 1923 to 2005. Prior to 1994 all Mirando City children attended Mirando City ISD schools. After the spring of 1994, Mirando City High School closed. Therefore, from the fall of 1994 to July 1, 2005, WCISD served high schoolers from Mirando City while Mirando Elementary School in the Mirando City ISD served pupils from kindergarten through 8th grade. On May 9, 2005 the Texas Education Agency ordered the closure of Mirando City ISD. The district closed on July 1, 2005, and all students were rezoned to Webb CISD schools.